Puppies that jump up can be very appealing, and it is hard to resist making a fuss of them when they do it. However, doing so can reward the behaviour and allow an annoying habit to form that can last a lifetime. 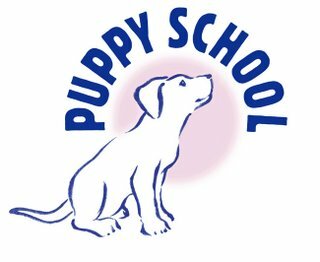 With correct education during the early months of puppy ownership, your puppy can learn not to jump up and to keep all four feet on the ground when greeting people instead. Why do puppies do it? Puppies that jump up and put their paws on people are usually very social and are trying to get our attention. 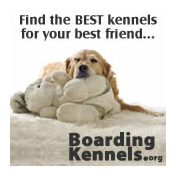 Their aim is to get close enough to lick our faces, a normal and natural greeting for a puppy. When this is rewarded by humans with fuss and attention, they learn to do it every time they want their attention or when greeting people, which can become a real nuisance when they are older and bigger. 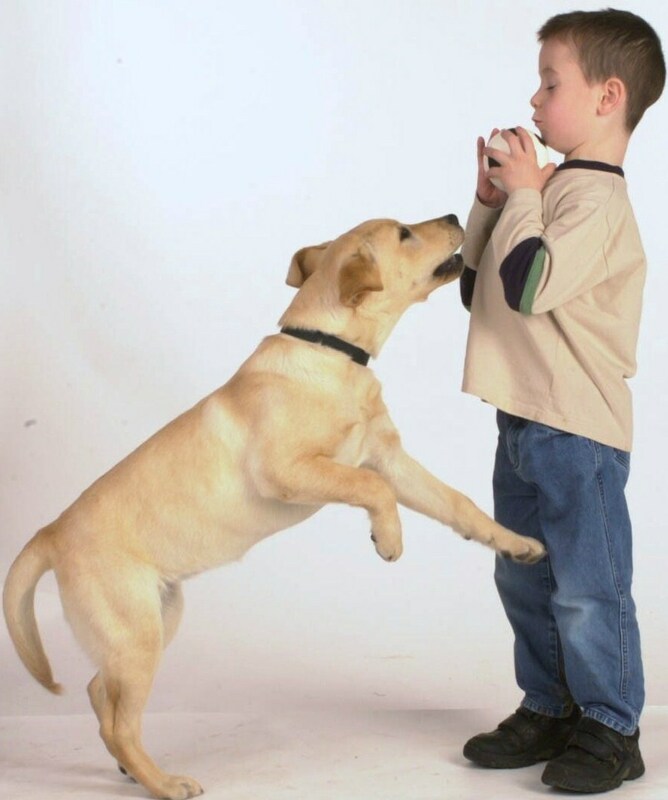 Many people scold or tell their puppy off for jumping or pawing. This usually has only a temporary effect and the puppy jumps up or paws again soon afterwards. Many trainers misguidedly recommend the use of various forms of punishment for jumping up. The side-effects of punishment are often the development a fear of hands, knees, legs, or feet, depending on the choice of action. This can cause a happy, out-going puppy to become withdrawn, wary, frightened and even defensively aggressive, and so it is not a good choice of treatment for this (or any) problem. 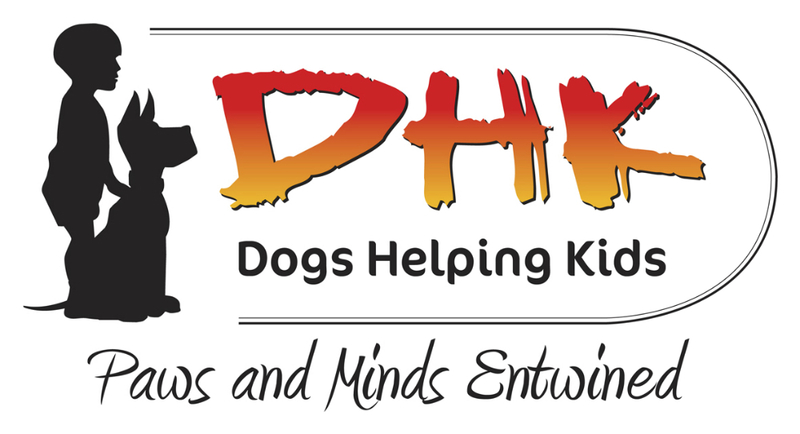 There are various positive methods that will be successful depending on the puppy and how established the habit is. Simply ignoring the jumping or pawing, turning away, and rewarding when all four feet are on the ground works well for some puppies, although the problem may get worse before it gets better with this treatment. 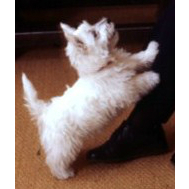 Other puppies may respond well to training for a behaviour that is incompatible with jumping, such as sitting, while some owners may need to use a line for a while to control the jumping or pawing so they can reward the behaviour they want, particularly if there are small children in the household. The important thing is to only ever reward your puppy with attention when all four feet are on the ground and allow time for your puppy to develop new habits. Control will also be needed around visitors and children until good habits are established. For seasoned jumpers or pawers, lessons in self-control may be needed to help speed up the process.